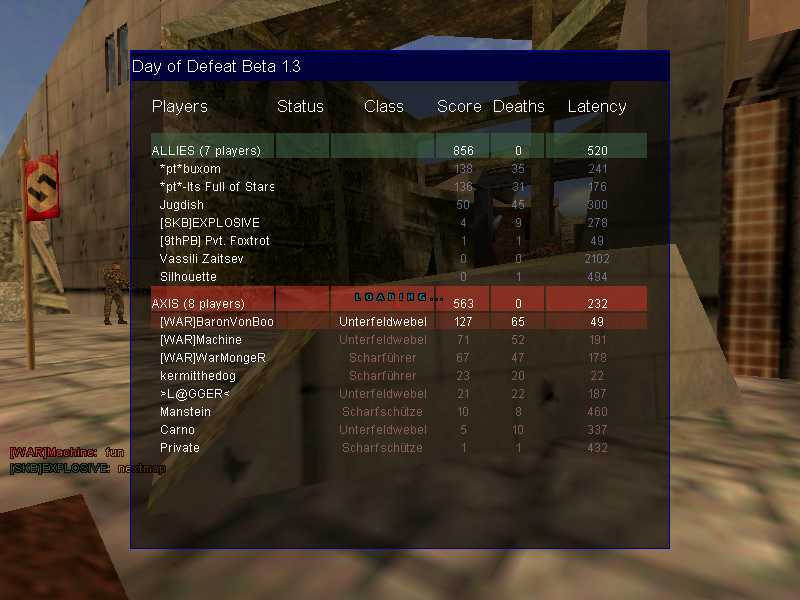 WAR started playing Day of Defeat somewhere quite early in the game’s development as the screenshot below demonstrates. FrankBooth (in his DoD incarnation as Baron Von Booth) led the way with Evil, Machine and WarMonger. I quite enjoyed the game too, especially the ability to lay prone and even crawl. Great goods from you, man. I have understand your stuff previous to and you are just too magnificent. I really like what you have acquired here, really like what you’re saying and the way in which you say it. You make it entertaining and you still take care of to keep it wise. I cant wait to read far more from you. This is really a wonderful web site.